New! 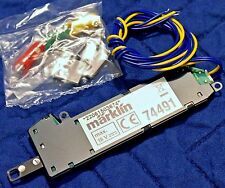 Marklin 74491 Electric Turnout Motor, Mechanism, Ships Super Fast from USA! NJ International. Single unit as shown. It's your choice! Features include plastic parts for construction. I’m thinning out my collection as I have way too many kits and no more room on the layout. The kit is new in the unopened box and is being sold as is at a very reasonable price. 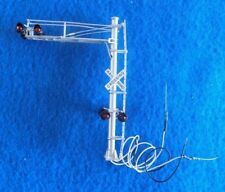 This type of construction allowed patternmakers to create intricate details like those found on our HO scale building. City Classics Structures. This building is designed to capture the look of ornate facades that were common with cast iron construction in the late 1800s. Size: 5-1/4" x 4-1/8", see complete details be low. •Scale/Gauge:: 1/87 - HO. • Fully assembled and ready to use. • NEW unopened in a collector's box, mint from the manufacturer. • Includes a clear plastic protective display case. Circuitron 12pk. Tortoise Switch Machines #6012. 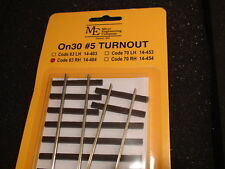 Prototype turnouts don't snap open and closed, they move slowly. This easy-to-mount switch machine features prototypical slow-motion action-three seconds to complete throw. You are getting 10 sets total. That includes 10 red and 10 black, 20 individual pieces, making 10 sets. For code 83 or code 100 ho scale. Just like in real life! HO Scale DC/DCC. Iron Planet Hobbies. YOU CAN PAINT THIS ALL BLACK IN MINUTES LIKE WE DID TO OURS. TrainJunkies HO Scale Heartland Farms Model Railroad Backdrop 120"X18"
"Heartland Farms" HO Scale Backdrop. Reverse Backdrop also available. Add realism and depth to your HO scale layout. and created from 13 individual photos, this back drop is in one continuous print. Complete your scene and bring it to life with affordable works of art in HO scale. Sculpted in fine detail and hand-painted, they add color, humor and interest to any layout. These are an HO Scale (1:87) modeling product and are not intended for use as toys by children under the age of 14. Christmas decoration. z.scale.hobo is a Noch top dealer 6 years in a row. for HO (1:87) Scale. TrainJunkies HO Scale "Donner Pass (No Sheds)" Model Railroad Backdrop 18x120"
"Donner Pass (no sheds)" HO Scale Background. Many of you have asked us to remove the snow sheds from our Donner Pass background, so here you go. cresting the 7,000 foot high, infamous 'Donner Pass'. Kadee Quality Products Co. HO scale ( 1/87 ). You are buying 5 ROOMS of FURNITURE 1/48 O scale On30 On3 ! Can be used as is or cut into sections. You can also pull tufts off of mat to add to other areas of your landscape to blend in. The backing is a thin piece of vinyl that conforms easily to your terrain. THE MOST WIDELY USED KNUCKLE COUPLERS IN LARGE SCALE. Fully compatible with all G SCALE TRAINS BY LGB, USA TRAINS, ARISTO-CRAFT, BACHMANN, etc. HO scale ready to run freight cars. ATSF 98615. 110120 Santa Fe 56 foot tank car. I commissioned Micro-Trains to produce a 4 car set of these ATSF tank cars in 2003. This is a Santa Fe 56 foot modern tank car. The car and box are in perfect condition. N Scale Flatbed Trucks - Ford Motor Parts. Ready to Run. MINT CONDITION - Factory sealed in original box. - Original Box. 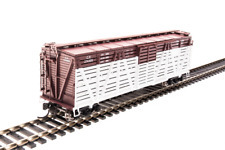 HO Scale Rooftop AC Unit Kit. by Showcase Miniatures. I may not have this particular item on hand. The photo shown is the HO scale version. Walthers Cornerstone HO-Scale Kits require assembly using basic modeling tools and adhesive (not included). • Drive-Up Window. Kit Style: Plastic. • Molded in 4 Colors and Clear Plastic. 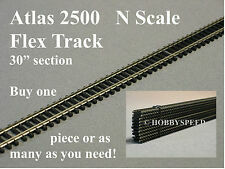 Fully compatible with all G SCALE TRAINS BY LGB, USA TRAINS, ARISTO-CRAFT, BACHMANN, etc. The Class "B" two-truck locomotive, introduced by Climax in 1893, featured a horizontal boiler with slanted cylinders. Bachmann is proud to present this Climax model with Soundtraxx® Tsunami® sound technology that lets you enjoy every authentic whistle, bell, chuff, clang, and more in realistic high-quality 16-bit sound. Walthers Cornerstone - Beverage Distribution Center Kit, N Scale. Get Supersized Images & Free Image Hosting. Condition: New. Item # 37467. N Scale, MIB. All warranty claims are handled by the manufacturer . Twin Fuel Tanks w/Loading Facility Kit. Add a realistic coal mine tipple to your railroad with the Walthers Cornerstone Diamond Coal Corporation kit. Based on a typical small trackside coal tipple for loading hoppers or gondolas, this easy-to-build kit features realistic corrugated metal construction, steel supports and separate ladders and stairways. 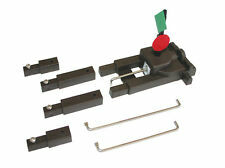 The kit also includes a conveyor with supports that can be run underground into the mind or distant mine head. ICX pkg(2). Item # 51124. N Scale, MIB. International R-190 Tractor w/32' Flat-Bed Trailer. Use to model fast-moving water features, such as waterfalls, rapids, waves or churning water. Also great for winter effects like icicles and other ice-like features. Water Effects is moldable, holds it shape and remains flexible. MICRO TRAINS BLACK LABEL. SIX CAR N-SCALE SET 70052. COLLECTOR QUALITY. TEXAS BARN HO Model Railroad Farm Ranch Stable Structure Unptd Laser Kit BR103. Condition is New. Broadway Limited HO Missouri Pacific USRA Heavy Mikado 2-8-2 #1430 Sound. HO Scale, Craftsman built," Huckleberry's Barrels, Crates & Pallets" , all wood.